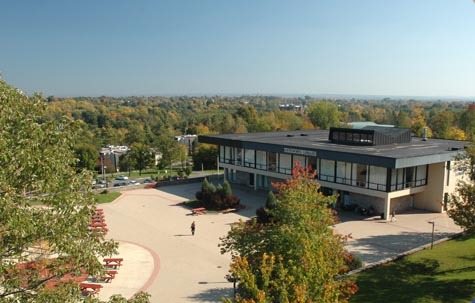 Welcome to SUNY Canton's Southworth Library and Learning Commons! This E-Textbook is part of the Peer-Reviewed Instructional Materials Online Database maintained by the Instruction Section of the Association of College & Research Libraries. If you have questions about the use of this textbook in your course or class, please contact the owners of this resource (to the right). 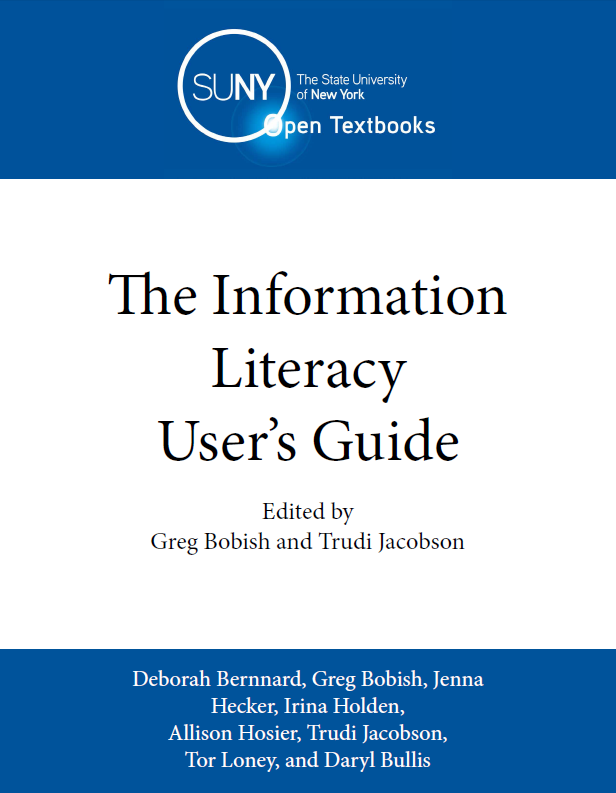 Content in this E-Textbook is used with permission by Boise State University Albertson Library, and has been augmented with information and exercises from Greg Bobish and Trudi Jacobson's The Information Literacy User's Guide - part of the OpenSUNY Textbook Initiative. Welcome to the Library Research E-Textbook and Information Literacy Modules. The E-Textbook provides an introduction to the library research process and basic tools a student needs to succeed in coursework at SUNY Canton and beyond. In using this E-Textbook, you will gain proficiency using essential library resources and will become familiar with aspects of information in its societal context. The number one objective of this E-Textbook is to teach you the knowledge, skills, and self-reflection needed for you to become a proficient researcher. This will help you not only in your classes at SUNY Canton, but will be useful to you as you begin your future careers, and throughout your life in general! Recognize how information is created and distributed, and understand that content differs by information format. Determine what kind of information you may need, and design search strategies that locate sources relevant to your research topic. Use a variety of electronic and print resources, with emphasis on library resources and services, to locate information on your research topic. Select and evaluate the most useful information sources for your research topic. Reflect on and revise your individual research process. Demonstrate a basic understanding of plagiarism and citation of sources. IMPORTANT: Make sure you mouse over the drop-down menus, which are located within some of the blue tabs. We don't want you to miss out on any important information! You will find a chat box on each page of this site so you can easily send questions as you have them. We look forward to hearing from you!